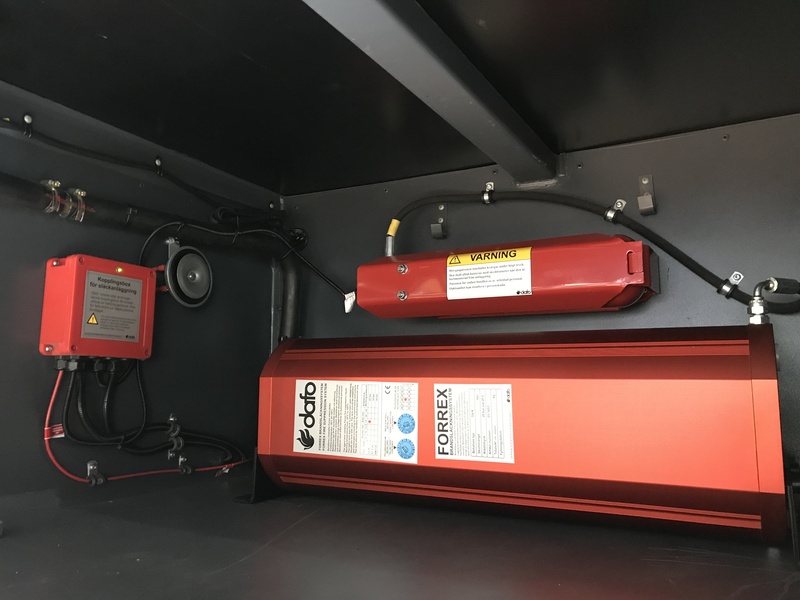 As of July 1st, 2018 Dafo Vehicle Fire Protection (Dafo VFP) is in operation as result of Dafo Brand AB separated its vehicle fire detection and suppression operations from its core fire safety equipment business. Dafo Vehicle Fire Protection supplies fire detection and suppression systems for vehicles such as buses and coaches. With more than 150,000 vehicle systems sold worldwide knowhow and experience ensure our customers to have the latest technology combined with proven reliability. The Dafo Vulcan system which combines the features of liquid and dry chemical, includes unique and patented solutions and offers outstanding flame knockdown and unique protection against re-ignition.It includes a pressure less cylinder which minimizes the risk of injury and potential leakages. The pressure less system can be installed independently in any direction. Dafo’s systems are designed to follow the lifetime of the bus with a low TCO (Total Cost of Ownership) and reliability.